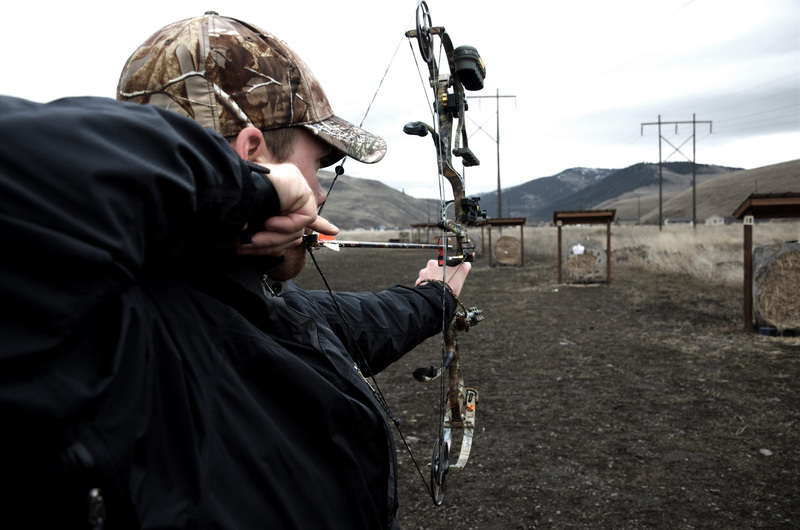 Gap shooting is usually used by professional archers in competitions and by expert hunters during the hunting season. However, most people, especially beginners, find it hard to work around it because of the its intricacy. To fully understand this difference in opinion, you must first understand how gap shooting works. If you are an archer releasing an arrow to a target, you usually let the arrow fly straight to the target. This straight line is the flight path of the arrow. Unfortunately, arrows don’t fly straight, they have a trajectory. This trajectory has no smooth arch. It is more elliptical than a curve. You will find that the arrows fall is short and faster than its climbing part. So the heavier the arrow, the faster the it is. With that comes flatter trajectory and vice versa. That’s why people are chasing speed for the flat trajectory. A gap archer finds the trajectory of their bow and they compensate for it. This way, they will get higher chance of hitting their target. With the gap method, when you release your arrow, it never goes straight but uses an arch instead. You can use the path to calculate the gaps at various distances and use it to your advantage. At 10 yards, the arrow will still be climbing. 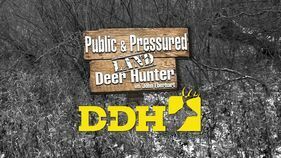 At 20 yards, it might be reaching its peak before it starts tipping down. However, this will all depend on your bow setup, the kind of arrow you use, its weight and the fletching that you apply. To make things easier for yourself, always go for a longer arrow because it will reduce your gap. Also, try working on your anchor and get the three under tab right. The heavier the arrow, the smaller the gaps will be and the longer the range is. What need to master most of all is your ability to calculate distance. Stand 10 yards away from your target. Put the tip of your arrow right at the middle of your bulls’ eye. If you shoot, the arrow will get to the top of your target. Shoot three arrows aiming at the exact same spot and take an average from the center of your group of arrows and the center of the target. Make sure to record these points after the first round with a tape measure, a pen and a book. This will be your first gap. Repeat that same cycle at 15 yards. If you want to put a setup of 30 inches, what you do is measure 30 inches down the target. Put the tip of your arrow on the target. If your short cycle is repeatable, the arrow will land at the bulls’ eye. One thing that will affect your gap is the type of draw you make. It might be a three under or a split finger. If you use split finger, you will have a larger gap. This is due to the fact that the arrow is further away from your eye. That is why most shooters use the three under method. This method brings the arrow closer to the eye which shrinks the gap. The key to perfecting the art of gap shooting is developing and following a repeatable and precise shot cycle. It doesn’t matter what type of method you use, be it string walking or instructive. 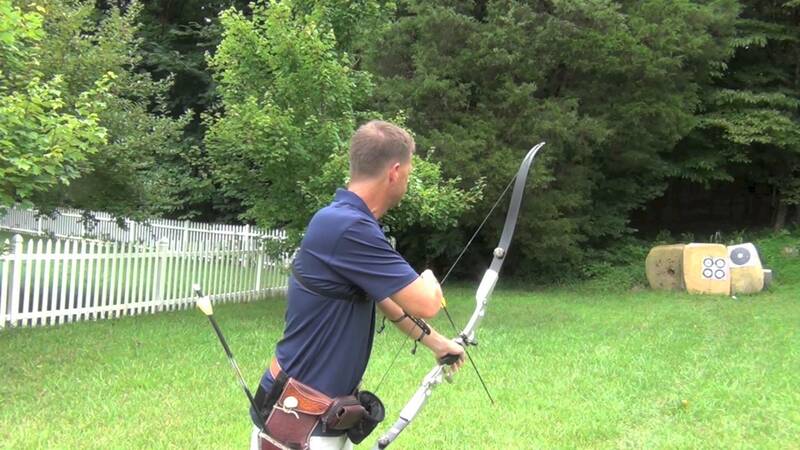 From the time you raise your bow, use a strong the grip, aim at a target, lift your elbows, and release your arrow. The whole cycle should be repeatable every time you taking a shot. Practice your personally formed exercise. Make sure that it is something that you can repeat every time. The hardest part learning about gap shooting is learning how to look at a spot and not hitting it with an arrow. It can take a while before you learn this. Gap shooting can become instinctive if you practice often with several ranges.